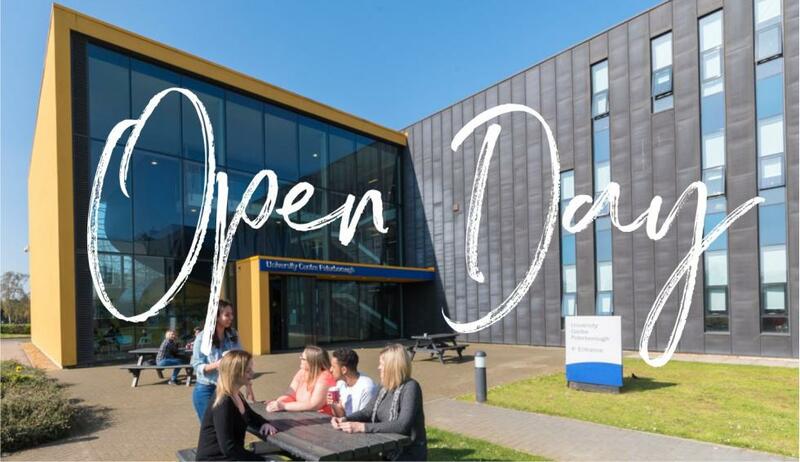 Our Open Days give you the chance to speak to lecturers and students about the courses on offer, tour the campus, attend talks about university life and how to support your studies. Our university staff and students will be available to answer questions about the courses on offer, how to apply, student welfare, financial support and student accommodation. When are the next Open Days? You can choose to attend an Open Day on the following dates. To register your place please complete the form at the bottom of this page. If you cannot attend an Open Day, why not attend a Campus Visit? These last 60 minutes and include everything you would expect from an Open Day except the opportunity to speak to course lecturers. Campus visits must be booked in advance to attend. What talks are at the Open Days? We have a series of information talks (Welcome to UCP / Student Finance / UCAS Application Process) which you are recommended to attend as they will give invaluable knowledge before starting university. Each talk will last 15 minutes with the opportunity to ask questions. No advance booking is required, just turn up 5 minutes before the talk starts. The times of the talks are included in your welcome guide on the day. Do you offer tours of the campus? Campus tours are led by a Student Ambassador and will start at the UCP reception on the ground floor. They will take place every 30 minutes and last 10 minutes. No advance booking is required, just turn up 5 minutes before the tour starts. Your friends and family are welcome to come with you and can also attend the talks and tours. Is car parking available for visitors? There is free car parking on our campus for visitors to the Open Day. If using a sat nav please use postcode PE1 4DX and enter the Park Crescent entrance and not the Eastfield Road entrance. There are lifts to access all floors of the university campus. Disabled car parking is available at the rear of the main building. Please ask a member of university staff and they will be able to assist. Thank you for booking onto one of our Open Days and we look forward to seeing you on the day. If you require any further information please contact us on 01733 214466 or email hello@ucp.ac.uk.